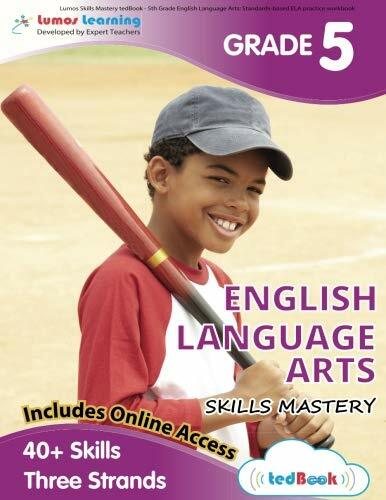 The Lumos Skill Mastery English Language Arts (ELA) workbook for Grade 5 is specifically designed to help students practice and master critical 5th grade ELA skills and concepts. This workbook is completely standards-aligned and is an Ideal resource for test prep as well as daily practice. Hundreds of standards-aligned practice questions, worksheets, videos, apps, etc. Students will have a self-paced learning experience with instant feedback and personalized score reports after completion of the each ELA practice session.